In 2015 I edited a book called Adventures in the Lives of Others, a collection of gripping and intimate accounts of problem-solving and decision-making at the cutting edge of documentaries and factual television. An extraordinary line-up of contributors took part, including the likes of Asif Kapadia, Nick Broomfield, Barbara Kopple, Kevin Macdonald, Morgan Spurlock and James Marsh. Big Ideas and Where They Come From is the follow-up to this book. Where Adventures focused on the ethical dilemmas that arise during the making of landmark films and TV programmes, Big Ideas will focus on how those films and programmes come into being – i.e. the inspiration and motivation behind them, and the challenges creative people face in getting their biggest and best ideas off the ground. As with Adventures, the book will focus on films and TV programmes that people love and know well, with contributions from the biggest and most respected names in both British and American film and television. Each chapter will effectively be the biography of an idea, written by the creator of the film or show concerned, and the style of the writing will be fresh, personal and revelatory. We’ll discover where the idea for each show came from, and how the idea was nursed into existence, sometimes over the course of many years. Overall, the book explores the nature of creativity in the context of film and television, and will offer the reader invaluable advice and insights to apply to his or her own career. There are some great stories to tell, of sudden flashes of brilliance, setbacks and opportunities missed, tragic accidents, leaps of faith, and amazing triumphs over doubt and adversity. Again the book focuses on documentaries and factual television, including major formats and the world’s biggest reality TV shows. Alongside ‘what do you do when things do wrong?’, ‘I’ve got an idea: how do I get it made?’ is the question that the students I teach ask me the most, and rightly so – having and selling ideas is the key to success in the film and television industries. 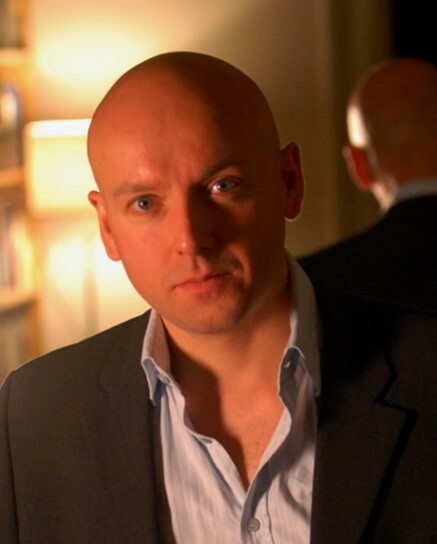 James Quinn is a commissioning editor at Sky, commissioning documentary series and factual programmes for Sky 1 and Sky Arts, and feature documentaries for Sky Atlantic and theatrical release. Before commissioning, he occupied senior positions at several leading indies, including Head of Special Projects at Oxford Film & Television and Head of Factual at October Films. He is also Visiting Professor of Media Arts at Royal Holloway, University of London. His books include Adventures in the Lives of Others, a collection of essays by some of the biggest names in factual filmmaking, and This Much is True, a landmark volume on the art of directing documentaries.